Can’t figure out what to register for? Don’t make the mistake of filling your registry with gadgets you’ll never use. Whether you’re buying your first home, moving, getting married or even having a baby, consider using your registry as an investment in saving energy and money. 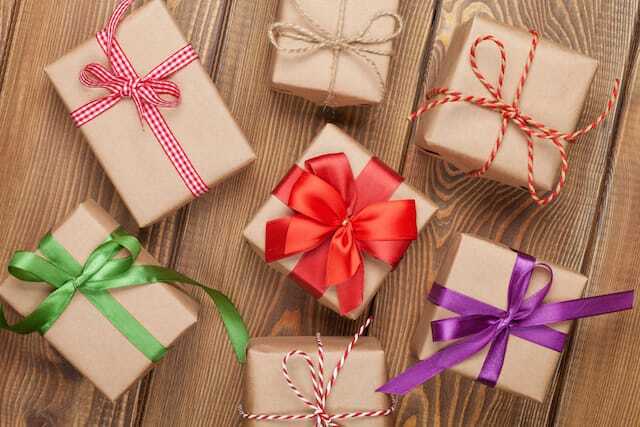 Most of what we pay for in utility bills is wasted, so it’s smart to invest in energy-saving items — and it’s even better if you get them as gifts. Below are 20 money-saving products to consider adding to your registry. CFL light bulbs are cheap, but for your registry, ask for the best technology that will last the longest. Register for $3 60 watt replacement bulbs or $9 100 watt replacement bulbs. New studies suggest the average home has more than 40 light bulbs. Using the study’s formula, a conservative estimate of 30 bulbs at 100 watts, the national average cost of 12 cents a kWh and an average daily usage of only five hours, you’ll save $47 a month versus using incandescent bulbs — or $564 a year. Start your new entertainment center, computer desk or video-game corner off with the right power strip to save you money. The average American household has 30-plus devices plugged in using “vampire” load, which costs them about $930 a year in unused energy. Take a peek at this infographic from the National Renewable Energy Laboratory to decide which works best for you. I prefer the programmable timer units because I’m a creature of schedule. This one provides different times for different days of the week. For smaller installations, use small timers. Make sure you get the correct number of prongs and outlets. The one I’ve linked to above has two three-prong grounded outlets with a 24-hour clock, which will handle just about everything. Attaching two of these to your DVRs and eliminating their “standby” usage saves you $87, according to the DOE. They cost about $25 at hardware stores and pay for themselves quickly. Some utility companies provide them for free during home audits. New water heaters may not benefit at all from a blanket so read the manual or Google your model before you add this item to your registry. Properly installed water heater blankets can save you between $20 and $45 annually. Insulating the first few feet of hot water pipes from your water heater decreases the time hot water takes to come out of the tap. This makes the water heater work less, decreases waste waiting for hot water and makes it more confortable to reduce the temperature of your water heater from 140 to 120 degrees, resulting in a combined savings between $32 and $72 a year. A small drip in your pipes can cost you $1 per month on your water bill. If your pipes look discolored, wrapping a paper towel over joints returns a damp towel or you can see water damage in vanity cabinets, wrap pipe joints in pipe putty to put a stop to the problem. In addition to the damage leaks can cause to your home, three small leaks would cost you $36 a year. Don’t wait until you have a problem to buy the putty; you’ll often leaks when you try to turn off water valves. You’re going to want it to have it on hand when that happens. Reduce the usage of your faucet below 1.5 gallons per minute (GPM) with an efficient faucet aerator. Some attachments can get you down to 0.5 GPM, but for a better look, you can also buy replacements made by Kohler and Delta. Each aerator reduces the fixture’s average water use by 30% or more. The older the faucet, the higher the savings. Using the average water bills of 30 major U.S. cities, and assuming 40% of those bills are fixed charges, that’s a $25 monthly savings, or $300 a year. Depending on your toilet, you can adjust the screw at the top of the fill tube, adjust the float ball or change the clip lock setting. Set it as low as possible and work backwards until you can flush all waste with the smallest amount of water. This could cost only a few minutes of your time. If necessary, add a replacement valve to your registry. The EPA estimates bad toilets and settings cost consumers $110 a year from unnecessary water use, so it’s worth taking a few minutes for these tweaks. Here’s a crazy statistic: 20% or more of the air you heat or cool in your home never reaches its intended destination or is unconditioned upon delivery. To trap that air back into the system, seal every ductwork joint with aluminum tape. Couple your efforts with number 10, pipe insulation tape. Wrap as much duct as you can in DIY pipe insulation. Not every pipe can be taped or insulated in a finished home, but getting just 5% of that air where it’s intended to go at the correct temperature can save you $55 a year. Programming a thermostat correctly can save you 1% of your heating and cooling costs per sustained degree you set it back. Buying a programmable thermostat and learning how to use it can save you an estimated $180, according to Energy Star. If it’s part of your registry and you’re not paying for it, consider a smart thermostat like Nest or EcoBee that will program itself. For best results and savings, ask for items 12 through 15 as an air-sealing package. Use outdoor sealants for intentional holes like around plumbing and electrical holes. Window and door frames are frequently shimmed into place, leaving gaps for air to escape. Use spray foam to seal these gaps. Follow that with indoor caulking on both sides of the trim. Outlet foam sealers are cheap and easy to install. Put them inside all outlets and switches on exterior walls. These are the weakest points of an insulated wall. You can use the aluminum tape mentioned earlier to join them for multiple switch plates. When properly installed over the trim, the plastic creates an air gap between it and the window — which reduces drafts and the transfer of heat through the window. You can always DIY draft guards, but your best option is to register for proper door weather stripping. Energy Star estimates 15% of your heating and cooling costs are going right out openings in your walls. At the Energy Information Administration average gas heating cost of $679 a season, air sealing can help you save $101.85 a year, or $20.37 a month for the five months most people use the heat. During hotter months, the EIA estimates an average cooling bill of $406, so a 15% savings is about $61 over three months, or $20.33 a month. These savings repeat, season after season, from the upfront work. Efficient, insulated draperies can reduce summer sun heat gain by 30% and winter heat loss by 10%. At the EIA averages, that’s about $190 a year. The following items arguably help you save money in the long run, but there’s some disagreement over these claims. Many people believe these items help you maintain thermostat changes instead of providing anything additional — which is still a win in our book. Deflectors force conditioned air away from walls and windows to the parts of the room you actually use, making it feel more comfortable. I just love a good fan. If you have kids, ceiling fans are safer for fingers. 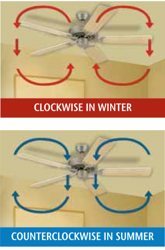 Most come with a reverse (clockwise) setting to make heated rooms more comfortable. But a good pedestal fan makes a room more comfortable and if it feels cooler, maybe you’ll leave your thermostat alone. Same idea as a fan, but for a different season. Heating a room with an infrared heater is better than cranking up the thermostat for the whole house. Unmaintained water heaters, furnaces and air conditioners lose 5% or more of their efficiency every year, costing you an extra $120 per year, based on EcoBee metered usage costs at 10% loss. Plus, regular maintenance helps extends the lives of these appliances and stretch the savings you’ll get from every other item on this list. If you’re buying a house, use these gift certificates while it’s in escrow and talk to the seller about any problems before closing. Accompany your home inspector and count the light bulbs, outlets, fans, faucets, toilets, windows and doors. Have them show you the ductwork and see if it needs sealing. Check the water heater with them for a blanket and pipe insulation. That way, you’ll know what to buy (or register for) before you move in. Have the inspector check the water meter size as well, to see if you can save money there too. It takes a special kind of saver to use a registry as an investment, but it’s very possible. The items on this list could help you save $2,800 a year on utilities. For easy reference, I created this public Wish List for all listed Amazon items, including several types of aerators and both types of thermostat. Whether your friends and family members want to spend $3 or $250, they can help you save money on your utility bills — definitely a gift you’ll appreciate more than that fondue set. Your Turn: Would you add any of these items to your registry? Cade Simmons works in energy efficiency oversight and has a Master’s degree in Economics specializing in public utility regulation from New Mexico State University. While I too love Taco Bell, I am not compensated for links or recommending products.